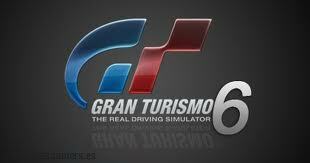 As everyone is pretty aware of by now, I’m a huge Gran Turismo fan. The idea of a game with 1000 plus cars to use around a plethora of fantastic race tracks is very, very appealing to me. I am a great fan of a wide variety of different cars ranging from the old classics like the Jensen Interceptor through to the most up to date insanity of the Lamborghini Aventador. I have been playing Gran Turismo 5 since its launch and have greatly enjoyed it. However, there are some things that I feel could be enhanced and added to make the next sequel the all-conquering racing simulation that Gran Turismo should be. 1 – More actual cars, not name changes. What i mean by this is that when they say they have 1000 plus cars then they should actually have that amount in the game. Gran Turismo 5 has one of the most annoying car line ups ive seen. Yes they have a large range of cars from a large range of manufacturers from around the world. However, they also have added so many variant models of some cars (usually Japanese manufacturers) and what is worse is that the variants have very little if any differences in performance or looks. The have been added purely to increase the number of cars they can claim the game has without actually having to model the cars. A great example of this is Mazda. The MX5 has a huge amount of (exactly the same) variants including the Eunos Roadster, the Eunos Roadster J-Limited (93 + 95 versions), the SR type, the S type, the VR type, the V type, MX5 1.8 RS, MX5 1600 NR-A, MX5 1800 RS, MX5 J type (limited 1 + 2 versions), MX5 Miata 1.8 RS, MX5 Miata 1600 NR-a and 14 other variants. I’m sorry but that’s far too many variants of a very average car in a game that you will only use tone of that type a few times before moving on to something bigger and better. Nissan are just as bad with the 350Z’s, Skylines, GTO’s etc. At a guess if you took out all but a couple of each variant the there would be more likely 800 cars rather than the claimed 1000. 2 – Missing cars must be added. The game does bring together a wide variety of manufacturers for us all to drive but i feel like they missed out on some pretty relevent manufacturers and models. A glaring absence is Bentley. Yes they have the Bentley Speed 8 from Le Mans but what about adding their road going cars. I would love to have a shoot out between an Aston Martin, A Ferrari, A Jaguar and a Bentley Continental GT. There could also be a wider range of Ferrari models, the 355, the Testerossa, the F50 etc. Names like Skoda, G Wizz (yes i know they are terrible but they added the Dihatsu Midget so we know that’s not a reason to keep it out! ), Smart cars, Ford Fiesta, Ariel Atom, Lamborghini Diablo etc. I could go on and on but suffice to say that there are plenty more they could add to increase variety. 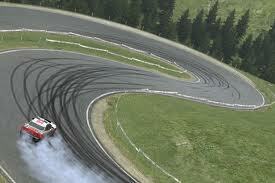 Porsche also need to get off their high horse and give them the licence. It’s nice they add the RUF tuning versions of some Porsche models but it would be great to have the real ones in there. 3 – Increased damage. Gran Turismo has added some cosmetic damage to the cars in the latest version but for most it’s just a bit of paint scuffing. Some models will bend and twist a bit here and there but at the end of the day its is only a half-hearted attempt in my opinion. Now I understand that some car companies don’t want their cars to look damaged etc but this needs to be rectified somehow. If I drive into a tyre wall at 200 miles an hour I think that a bit more than the car bouncing backwards and the front grill twisting a bit would happen! I’m not willing to test it out for proof but the laws of physics suggest that the car and the tyre wall would combine in an angry, violent mixture. 4 – Customizations. This is something that Gran Turismo lacks compared to its main rival Forza. In Gran Turismo you can change the colour of your car and maybe a different colour to the wheels, that’s it. There needs to be more. I would like to see the amount of customization that Forza allows you. I’ve seen players spend days creating a masterpiece of paintwork and livery for their prized cars in Forza. I would like to also see a bit more variations for bodywork etc but that isn’t as important for me really. It’s nice to make your car look a bit different from others with a new rear wing or a front valence but the paintwork is where they greatest variations will be seen and created. This for me is about as important to add as taking out the unneeded car variations. Track customization could be improved as well. The have done a good job in GT5 but there is a lot the could add. One thing i would love to see is the ability to create a Gran Touring or an end to end rally stage rather than a looped track. With this addition you could really add new dimensions to the game. Having more say on where the corners go as well would be better rather than a random creation which you tweak parameters rather than actual parts. As I said, they have given us a good start but this now needs to be improved for the next edition. 5 – Every car = Premium. Exactly what it means. Some of the choices they have made for premium and ‘standard’ cars is terrible. I want to see every car in its ‘premium’ form. They took 5 years to create and develop Gran Turismo 5 and yet they could only make 300 cars premium, sorry but this just isn’t good enough. The standard versions look awful when you actually look closely at them. This is a major issue in a game that tells you to look at their cars and their graphics and attention to detail. Time to get off their backsides and get to work I think. With these changes added or corrected I think that the inevitable Gran Turismo 6 would become a dominating game that will put its competition to shame. Gran Turismo has a long, deep-seated heritage with the Playstation and I can’t see this diminishing in any way but the game also needs to evolve and develop along with what the fans want so it will be interesting to see what additions they will add when the new title appears. merci a l’equipe gran turismo?